Philosoph (1742–1798). 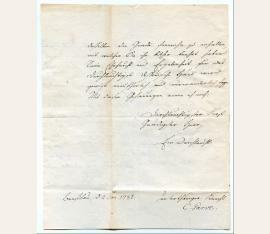 Autograph letter signed („C. Garve“). Breslau. 4 SS. auf Doppelblatt. 4to. 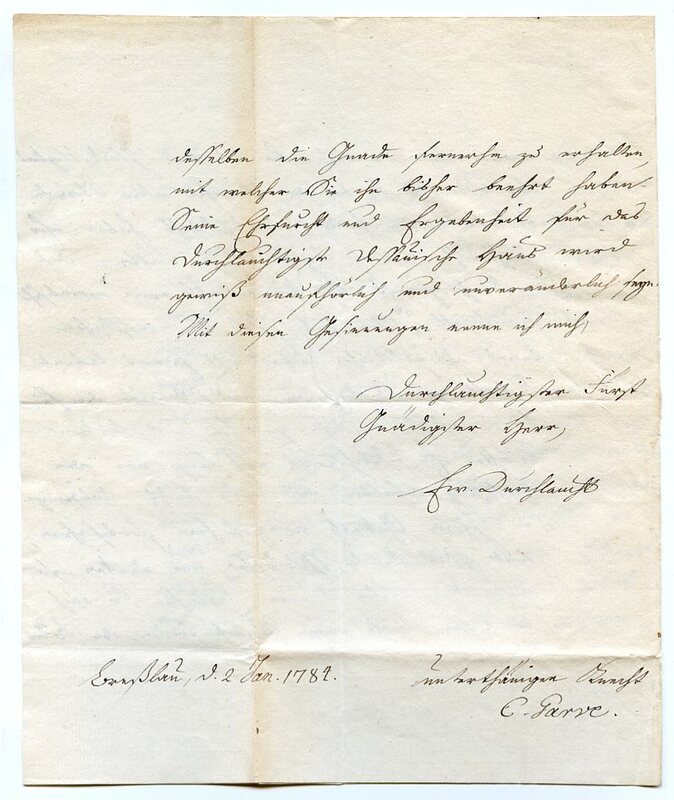 To an unnamed count – presumably Leopold III., Duke of Anhalt Dessau (1740-1817), known as “Prince Franz” or “Father Franz”, whom he sent one of his books. - Slightly browned due to paper; with inverted pleat; otherwise well preserved.